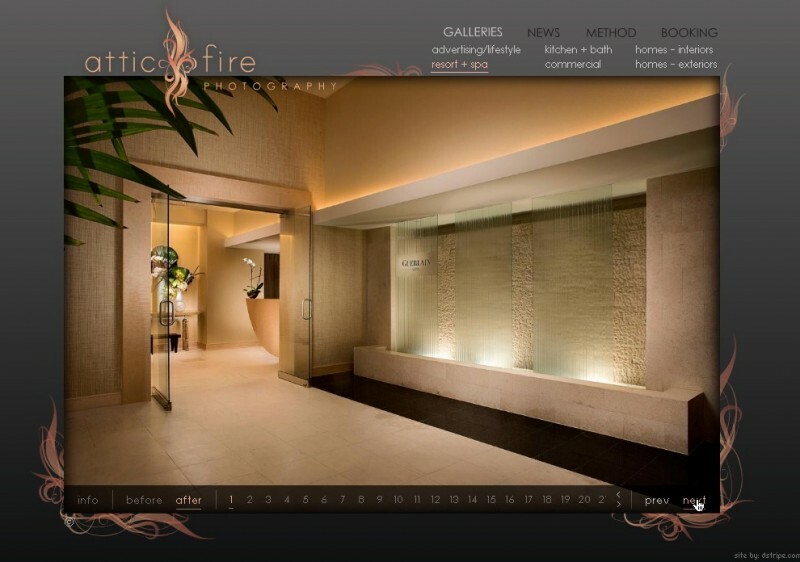 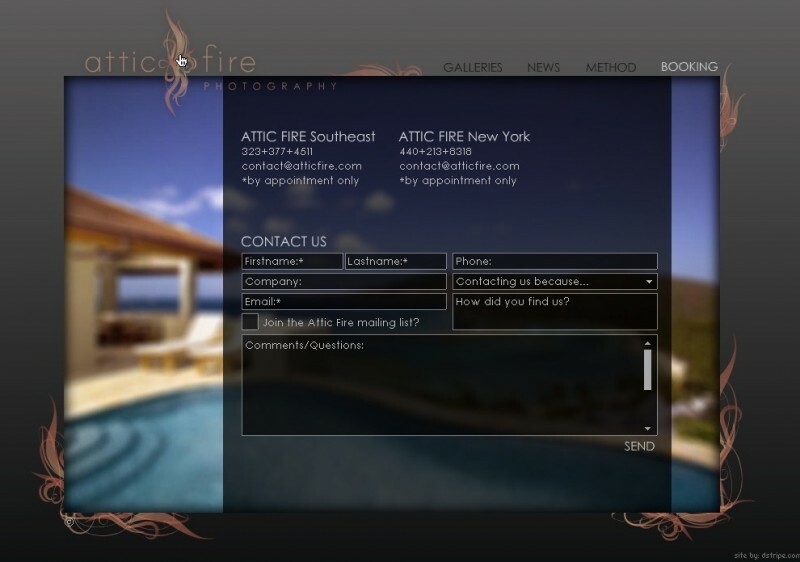 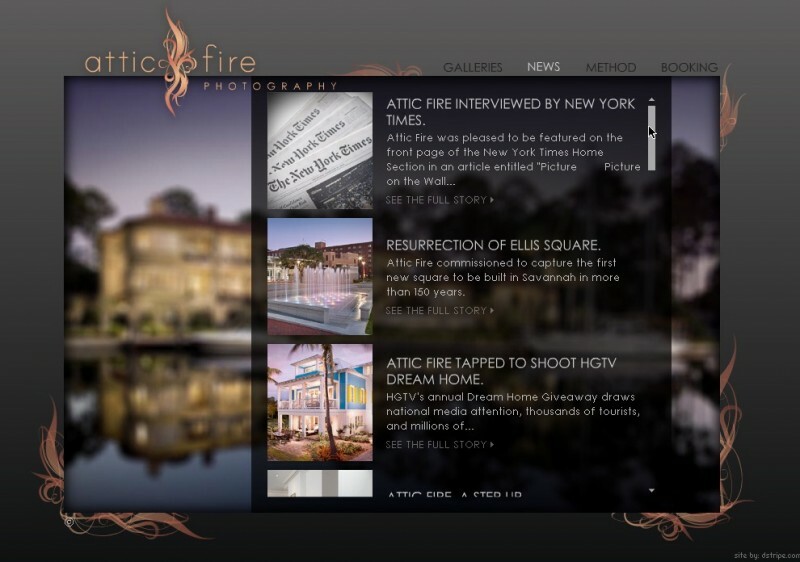 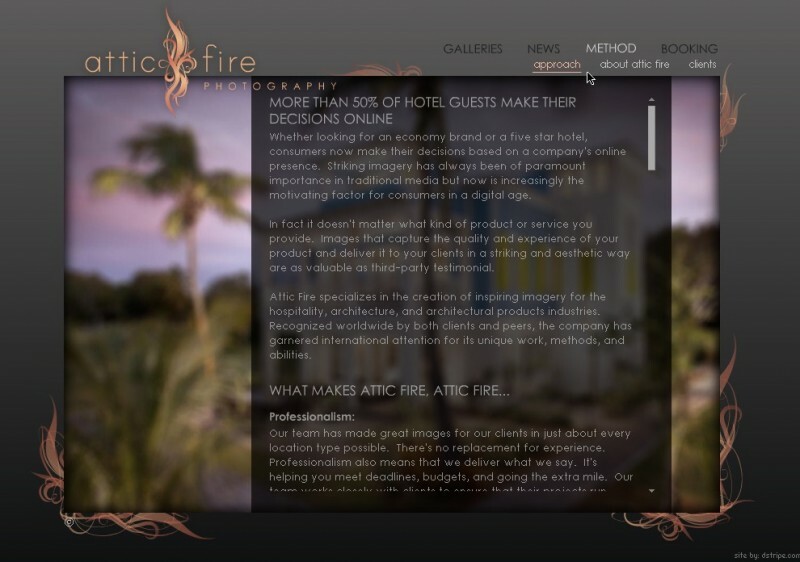 Flame colored wisps borrowed from the logo we created radiate around breathtaking images that make you envy Attic Fire’s travel plans. 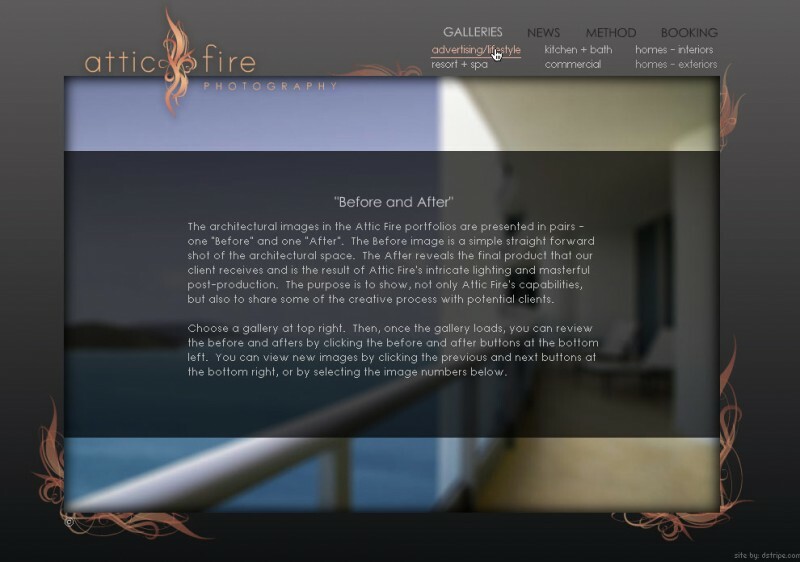 Before and after controls in the gallery show off their remarkable lighting and post-production skills. 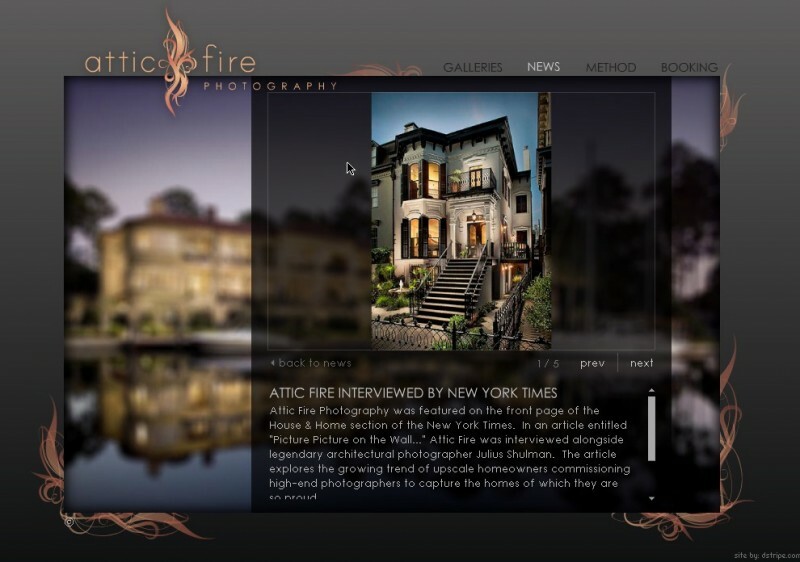 Recognizable accolades back up what you already knew from their grand photographs – that these guys, whether working indoors or out, are masters of their craft. 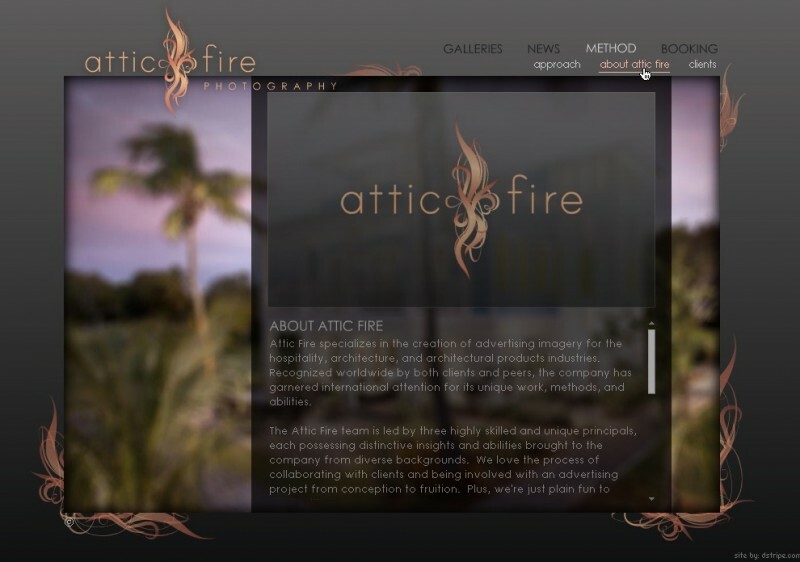 We were very pleased with the results when we asked Deb to design our logo and website. 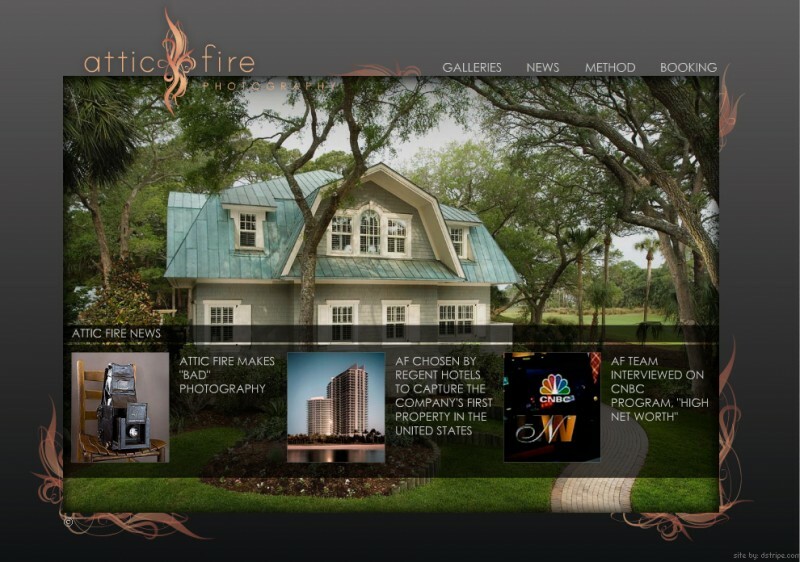 She was able to capture the essence of our brand, and we never tire of hearing our clients tell us how great our site is.